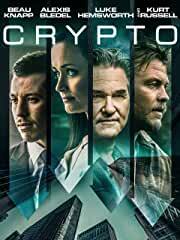 The Crypto Blu-ray and DVD will be available for the suggested retail price of $21.99 and $19.98, respectively. Kurt Russell and Alexis Bledel highlight this gripping, timely cyber-thriller. When Wall Street banker Martin (Beau Knapp) is sent to a bank branch in upstate New York, he uncovers suspicious cash flow through a local gallery selling million-dollar paintings. As Martin traces links to a violent global mob, he realizes he’s put his nearby family in grave danger. This searing action tale also stars Luke Hemsworth and Vincent Kartheiser.